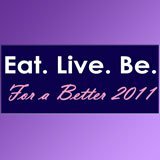 I struggle with lots of things along my path towards healthy living. Exercising is tough. Avoiding chocolate is tougher. And stopping after just one slice of bread is toughest. But when it comes to eating fruits and vegetables, I'm very fortunate. I LOVE produce in just about any form. Raw. Steamed. Sauted. Roasted. Naked. Dressed. This recipe showcases one of my favorite ways to eat vegetables. Adorned with fruits, nuts, cheese, and a simple dressing. And served in a super pretty bowl. First, combine the mustard, honey, oil, vinegar, nutmeg, salt and pepper in a small jar. (If you're as lucky as I was this week, you'll have an almost empty mustard jar you can use. So simple!) Shake well to combine. Place the lettuce on a serving platter or in individual bowls. Sprinkle the pecans and dried fruit over the lettuce. Top with the cheese and/or eggs, if using. Linking this up to Pennywise Platter Thursdays, Ultimate Recipe Swap and another Ultimate Recipe Swap. Love the dressing. I could do a whole post on my favorite dressings- in fact i might do that soon! I could eat a salad everyday and i am proud to say I have converted my meat loving hubby to having salads at least 2 times a week! Love it! I definitely consider myself lucky to love fruits and vegetables. Especially with Passover coming up! I did a blog post once on my new salad bowls. I said that the best way to increase your eating of salads was to buy pretty bowls! LOVE this photo! And I am swooning over that honey mustard vinaigrette...definitely trying that on a salad soon! I think I really should start my healthy eating! This looks good! I hope I can make mine same as yours! I've been into healthy eating for the past years. Your recipe is a great find. I'll try this and hopefully i can come up with the best one. Thanks for sharing. I love honey mustard!! There is just something so tasty about adding fruit, nuts and cheese to a salad. This one looks amazing!! I love every single component of this salad, looks great and I'll definitely be making the salad dressing soon! Love the dressing on this salad. I think I will try it tonight. Your salads look great as do the salad bowls. Great photos! They make me want to make this right now.